When your books might have started selling on Amazon, the best way to increase your kindle and paperback book sales is to run ads on amazon. 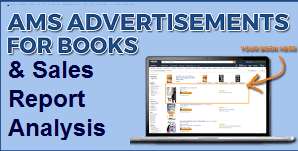 You can advertise your KDP eBooks on Amazon.com (US) through Amazon Marketing Services (AMS). You can also advertise your book on big social medias like facebook, twitter, GoodReads, etc. You can also check out the performance of your books and even download the daily, weekly, monthly and even all-time report of your kindle books and paperback books. Always study your book's sales report from time to time as this will help you know the book that will yield more returns when you run your ads. AMS allows you to set the budget you want to spend and the maximum amount you are willing to pay when a customer clicks your ad. When customers click your ad, they will redirected to your book's detail page on Amazon store, which might eventually lead to sale boost. The good thing about this ad is it is Pay Per Click (CPC), that means that charges only accrue when a customer clicks your ad. 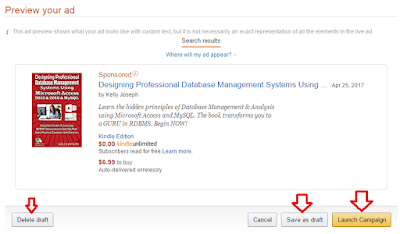 You must have setup your Amazon Marketing Services Account before you can be able to setup and run ads on amazon.com for your kindle books. Click Here to Set Up yours now! It must be an eBook and must be written in English language. It must available on the Amazon.com Kindle Store. It must meet the Amazon Creative Acceptance Policies and the Amazon Ad Policy for Books. a. Sponsored product ads: This type of ads drive sales with keyword-targeted ads that appear below search results and on detail pages. b. Product display ads: This type of ads drive awareness of your book with reader and genre-targeted ads on detail pages. 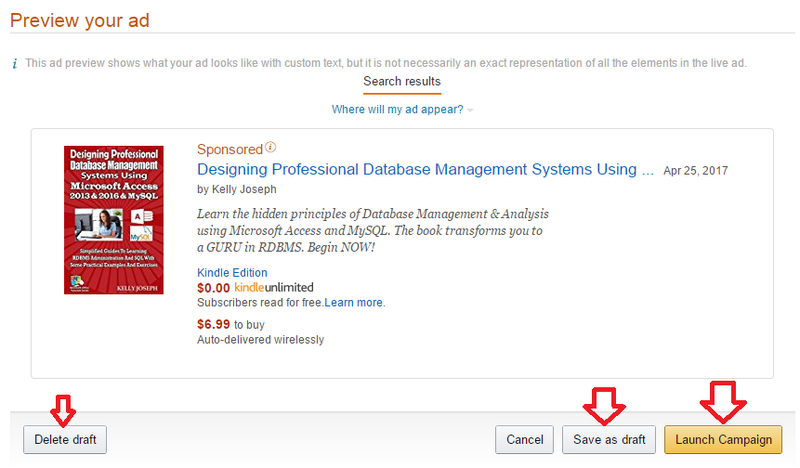 Setting up or scheduling an ad for your kindle book in Amazon Marketing Services Account (AMS) is very easy. You can set it up using this five steps explained with screenshots below. Remember that you will need to create an Amazon Marketing Services account. Click the Select button to select an ebook you wish to advertize as shown below. Type a campaign name which you want to use to identify the campaign. Then type an average daily budget of your choice. b. Select a date range. Always use the second option if you already budgeted a specific amount for the ad. Choose a start and end date from the calendar. The screenshot below illustrates step 2 better. a. Automatic Targeting: Amazon targets your ads to all relevant customer searches based on your product information. This algorithm collects and uses relevant keywords for all selected products. I prefer this option. b. Manual Targeting: This option allows you to add your own keywords or phrases to your ad campaigns. You can create your own keywords based on your book's content, genre, and similar authors. You can also use suggested keywords from the ad builder. 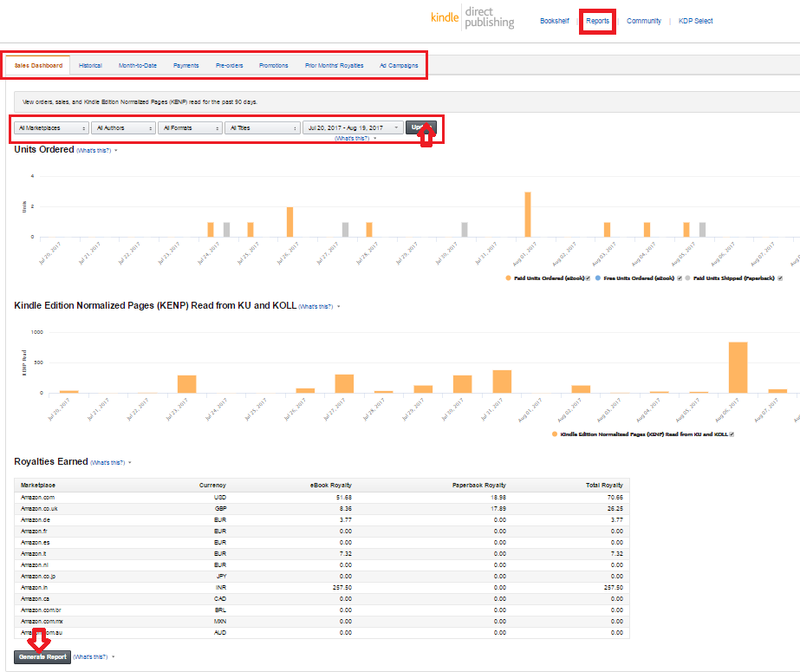 But note that Ad keywords are not the same as search keywords in your book’s metadata. Next is to specify a Cost-Per-Click (CPC) bid for your ad. This is the maximum amount you are willing to pay when customers click on your ad. The screenshot below illustrates step 3 better. Here you put your ad write-ups which should contain some keywords for book. The keyword's insertion should sound natural. Don't over-do things here. You have a maximum of 150 characters here as shown in the screenshot below. Here you will see how your ads will appear live when it is approved. Remember that your ads will first be reviewed before it is approved. You can save your ad and then come back to edit it before you launch your ad campaign by click the Save As draft button. If you want to submit your ad for review, click the Launch Ad button. Below is a screenshot of how your ads will appear after it has been approved by Amazon Marketing Services Ad review teams. 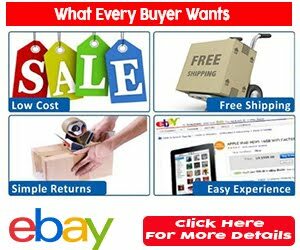 For more details on how to setup your ads and understand how amazon ads work, Click Here. 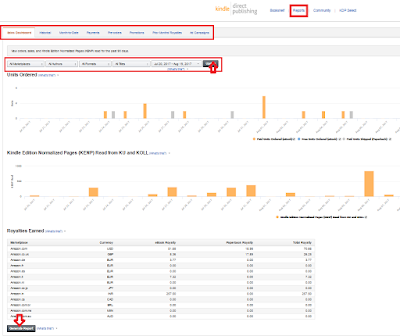 The Reports tab which is located beside the Bookshelf tab helps you view the performance of your books. 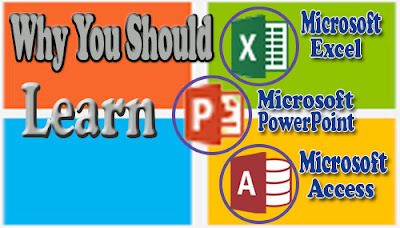 Understanding how to check your book's performance will help you to be able to estimate the royalty you will earn for a particular book and how to promote your books to boost their sales and also the version of your book to put more promotional effort especially if you have both the kindle ebook and paperback versions of all your books available. Click the Reports tab. This takes you to the Reports page, where you can see and check out many details about your books sales and promotion performance. This helps you know your books that are performing very well and the ones that are not. This is the default tab that opens up once you click the Reports tab. It shows you the number of your books ordered per day, the Kindle Edition Normalized Pages (KENP) read from KU and KOLL in graphical form and then the royalty earned. You can also see the number of your books sold for a selected date range. You can further sort the report on this page by market places, Author, Book Format, Book Titles and by Date. Use the calendar to filter the time-frame provided on the dashboard. You can select any dates within the last 90 days. All you do is to simply select the criteria you need and the report will be displayed based on these criteria you set. A screenshot of the Sales Dashboard is shown below. The Units Ordered graph displays the graph of paid and free unit sales for your selected title(s) in your chosen time period. This graph is updated as orders are placed in Kindle stores worldwide. Use the filters above to customize your data. Daily totals are calculated based on the local time of the marketplace where the order was recorded (e.g. GMT for amazon.co.uk). The Kindle Edition Normalized Pages (KENP) Read from KU and KOLL graph determines the royalties you earn from KU (Kindle Unlimited) and KOLL (Kindle Owners’ Lending Library). This graph is updated as pages are read by customers who borrow your book from KU and KOLL. Use the filters above to customize your data. The Royalties Earned table shows your royalties earned from sales of your eBook and Paperback titles during your selected time period. It takes up to 24 hours for eBook royalties to be recorded once an order is placed for your title. Paperback royalties are recorded whenever a copy of your book is shipped to fulfill a customer order. This table does not include royalties earned from the KDP Select Global Fund. For KU/KOLL royalties, which are processed on a monthly basis, please refer to your Prior Months’ Royalties report. You can download the full report of your book sales by clicking the Generate Report tab located below the Royalty Earned table as shown above. The new report format allows for easier sorting and pivoting in Excel, and is available for months starting from October 2016. The old report format will continue to be available for months prior to August 2017 for which the KDP Select Global Fund has been finalized. For months after and including August 2017, only the new format will be available. This tab displays your historical sales and KU/KOLL data up to the month of the most recently released Prior Months' Royalty report. It shows you the graph of Unit Sales and KOLL Borrows, the Kindle Edition Normalized Pages (KENP) Read from KU and KOLL and the Royalties Earned table. KU and KOLL started measuring pages read on July 2015, so no KENP data is available before this month. This tab displays your unit sales transactions and KENP read for the current and prior month. It displays the title of the books, the ASIN, the Units Sold, Units Refunded, Net Units Sold, KENP Read, Free Units Promo and Free Units Price Match in one table. 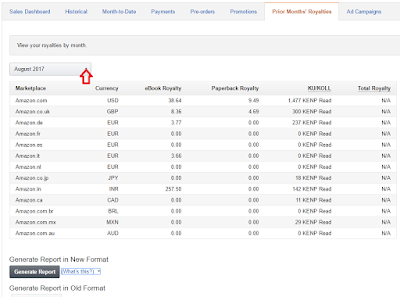 This tab displays information about your payments for sales and KU/KOLL activity for every month. It displays the Payment number, Sales period, Market place, Payment status, Date, Payment method, Net earning, FX rate of each currency and the Payout amount in one table. You might need to click the navigation buttons located below the table to navigate between different months. This tab displays units ordered for books you have made available for pre-order. You can only see data in this tab if you activated the pre-order option while setting up your book as explained earlier. This tab displays the performance of your Kindle Countdown Deals and five days free promotions. It displays the Market place where the promotion was ran, the book ASIN, Title, Promo Start, End time and Status in a table. This tab displays your royalties by month. It displays the Market place, Currency, eBook royalty, Paperback royalty, KU/KOLL and the Total Royalty in a single table. 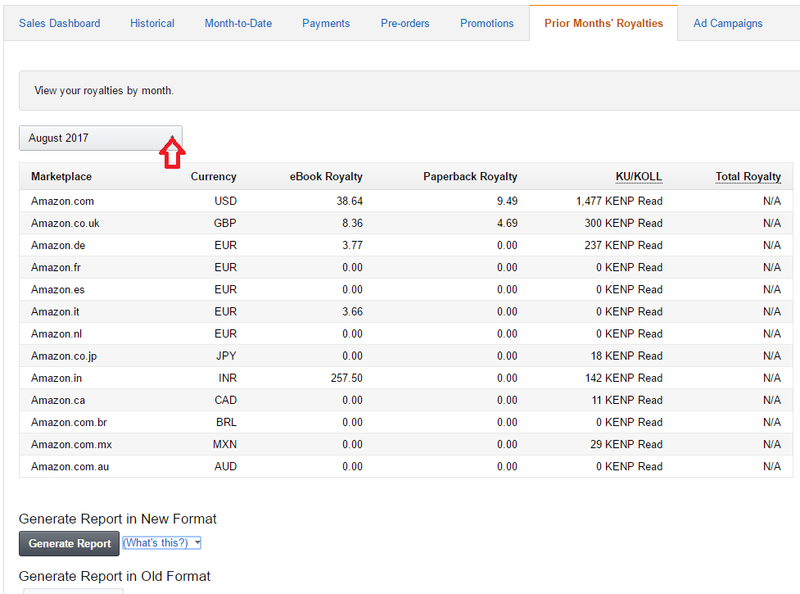 To see the royalties you earned in the different Amazon's market place, Select the month from the drop down menu list as shown in the screenshot below. This tab displays the list of all amazon ads you have ran for your books. It requires that you must setup your Amazon Marketing Services account before you can run amazon ads for your kindle books. 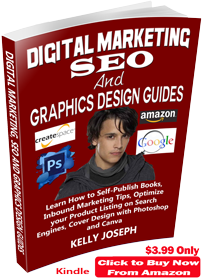 See Also: The Book Publishing and Book Printing Guide for CreateSpace here.